Happy weekend friends. wooo hooo. 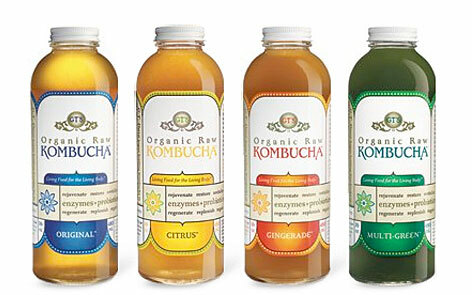 In my pilates class I overheard one of the girls in my class saying that she drink a bottle of Kombucha a day. I have also seen this stuff on other raw foodies websites and just heard overall that it is a good for you. Within no time, the product was back on the shelf, Lindsay’s “people” apologized for misleading the G.T. 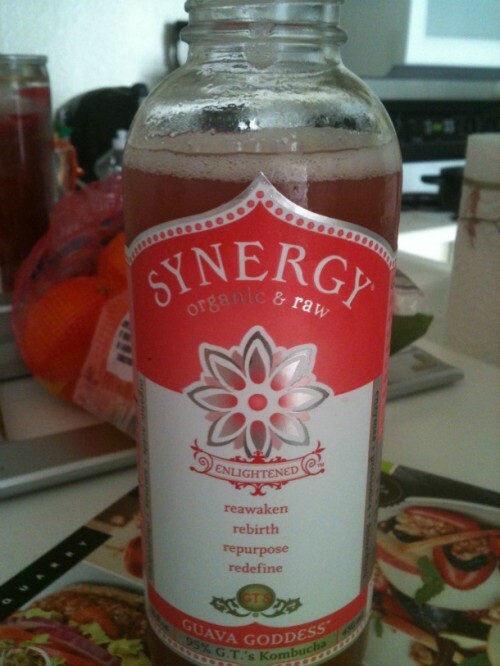 Synergy Kombucha drink. Umm YA! 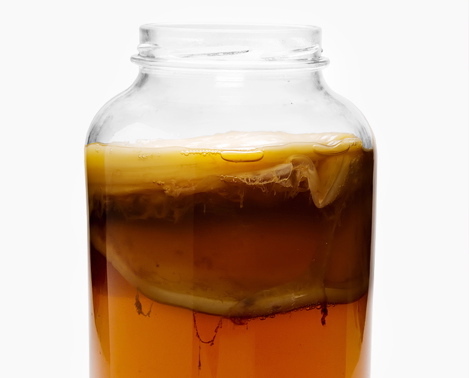 I’ll drink to that… But EWWW, here’s what it looks like when it is fermenting. It is alive and often grows to the shape of it container when harvesting this stuff…People think it’s made from mushrooms, but it’s really just a yeast that actually carbonates naturally.. So when you drink it, it has a fizzy taste..
I’ll only drink it when it’s in a pretty bottle and tastes good…. My friend Amanda from SKNclinic.ca loves the green one… I’ll pick that one up next time…. I want to live long. I want to be healthy. I strive to be healthy, feel healthy. Strive to be and feel vibrant and full of life and love… I am not perfect, I have not been 100% raw since the new year has started. I don’t beat myself up though. Since I took the Feed Life, Starve Cancer classes in Vancouver, I see the benefits of other foods. Such as steamed yams, steamed veggies (for variety), whole grain rice and legumes. I miss 100% raw, but I’ve been kind of all over the map since being in LA. No excuses, just in a different head space. Really want to buckle down again with my choices soon. LESS beer and mexican food—- More raw, live, fresh fruits and veggies… I can do that!! Here’s some shots by the wonderful Swoon Photography taken a couple weeks ago down here in California. This shoot was such a blast. The lovely Diana from The Look Machine helped style it. Nice black and white shot. 2 sets of eyelashes baby! At this moment. I can hear people swimming in our outdoor pool and I am loving it. I MAY have to go for a dip. It’s a heated pool…. It’s been so nice to spend the rainy (Vancouver season) in Sunny California. I still really miss home though..I’m sure we’ll be back soon enough! Sending you love, light, power and might….You are so amazing. I love this quote by my fellow Canadian tribe member, “You miss 100% of the shots you don’t take.” Wayne Gretzky. Amen Wayne, Amen….. Filed under - BEAUTY / MAKEUP, HEALTH/FITNESS, INSPIRED, RAW FOOD No Comments so far.